Chinese Activists Send Birthday Wishes to Widow of Nobel Peace Laureate - Integration Through Media ....! Chinese right activists on Sunday sent birthday wishes to Liu Xia, widow of late Nobel peace laureate and political prisoner Liu Xiaobo, who has been under house arrest since his prize was announced in October 2010. 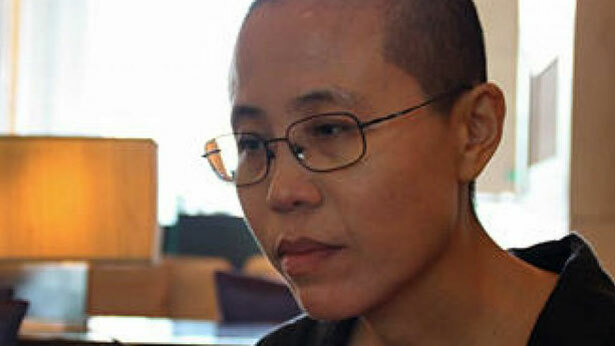 Liu Xia spent her 57th birthday under continued house arrest amid growing calls for her to be allowed to leave China to seek medical treatment for heart problems and depression, and to begin a new life. She has never been charged with any crime, but remains cut off from the outside world, and under close surveillance by China’s state security police at all times. “I tried to call her today, but she didn’t pick up,” Guangdong-based rights activist Ye Du, a friend of Liu’s, told RFA on Sunday. He said Liu’s strongest wish is to be allowed to make a new life for herself overseas. “I really hope she gets her heart’s desire, which is to leave China and be able to relax, instead of living under house arrest in China,” Ye said. Another friend of Liu’s, Germany-based dissident writer Liao Yiwu, said many activists and exiles continue to campaign for Liu to be allowed to leave China. Beijing-based rights activist Hu Jia said he himself is under house arrest, and has been unable to visit Liu. “It’s her birthday today, but I have been under house arrest myself since 2013, when I tried to go and celebrate her birthday with her, to take a birthday cake to her home,” Hu told RFA. “I don’t know whether any of her friends will be celebrating her birthday with her today or not, but I am guessing that they won’t be allowed to see her, as they haven’t in previous years,” he said. “I am very sad and worried about her today … on a day that other people celebrate as April Fool’s Day,” Hu said. He accused the ruling Chinese Communist Party of reneging on its promises to allow Liu Xia her freedom in the wake of Liu Xiaobo’s death from liver cancer last July. “There has been no news lately, and the authorities haven’t given her a definite date [for being allowed to leave China] although they did say they were thinking of letting her go after the National People’s Congress (NPC) annual session [earlier this month,” Hu said. Liu Xiaobo, a literary critic and former professor, was awarded the 2010 Nobel Peace Prize “for his long and non-violent struggle for fundamental human rights in China” in a decision that infuriated Beijing, which said he had broken Chinese law. He died on July 13, 2017, a few weeks after being diagnosed with late-stage liver cancer, and after repeated requests from his family to send him overseas for medical treatment were ignored. Police have since detained a number of activists who staged memorials in Liu’s honor, and his name is still a banned search term on China’s tightly controlled internet.